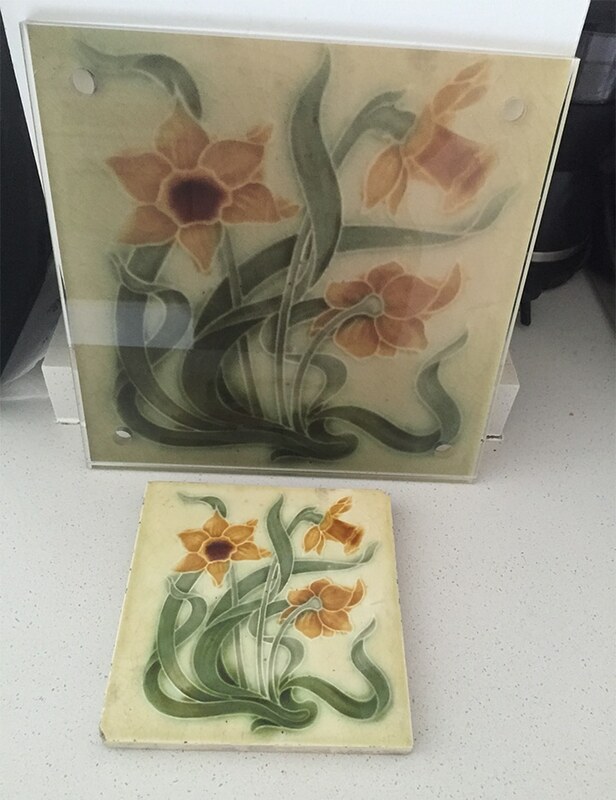 I came across this beautiful tile in a car boot sale and wanted to make something with it. I had originally just hung it on the wall, but I wanted a more modern twist and to ideally have something a little larger. 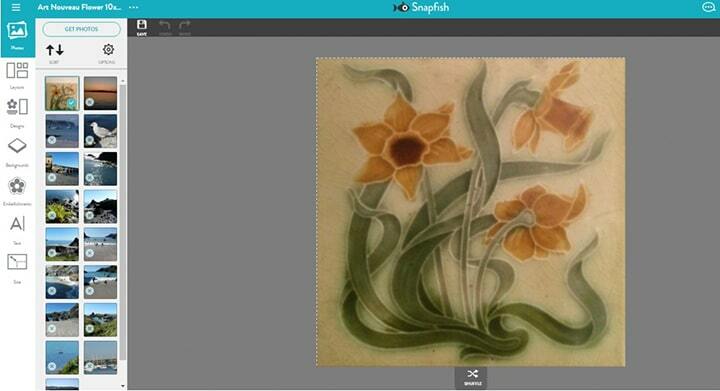 I decided to photograph it and upload it to Snapfish where I saw a great square acrylic print. The process couldn’t have been simpler. I applied the photo to the product, re-positioned it slightly and after a couple of days the most delightful acrylic appeared. It has four silver screw covers which I have not used yet, and it sits proud of the wall and looks A.M.A.Z.I.N.G! Thanks Snapfish.